Q. What made you start a food truck, Miss Chase? A. I really wanted to open a restaurant, but they’re very expensive. I thought if I could get people to love my food using a food truck – that would raise money for my restaurant and I’d have a following before I opened my door. Q. And what kind of food do you make on your food truck? A. My signature food is my biscuit bowl. That’s a special biscuit baked so that there’s an indentation in the middle. I deep fry my biscuit bowls and fill them with stew or pie fillings. Would you like to try one? Q. Do you expect to win the Sweet Magnolia Food Truck race and the $50,000 grand prize? A. Truthfully – I don’t. I mean - those preachers over there on the Our Daily Bread food truck – everyone loves bread and it’s versatile. I could see us coming in second, maybe. But no matter what, it’s free publicity for my food truck and my biscuit bowls. Q. Of course there is more to the race than food, right? A. Yes. Like today when we all have to dress in bikinis to serve food. We’ve probably got the preachers beat on that one – have you seen my assistant, Delia? Q. Well, you’re not so bad yourself. A. Thanks! You’re not so bad either. Here eat the biscuit bowl before it gets cold. Q. Uh-mumph-er-chomp. Wow! That’s really good! A. I told you! I’m not sure how they’re going to be made of sweet potatoes or upside down, but normally they are the best! Q. Thank you, Zoe Chase. Could I have another biscuit bowl? A. Of course! Try this plum biscuit bowl. It’s awesome! 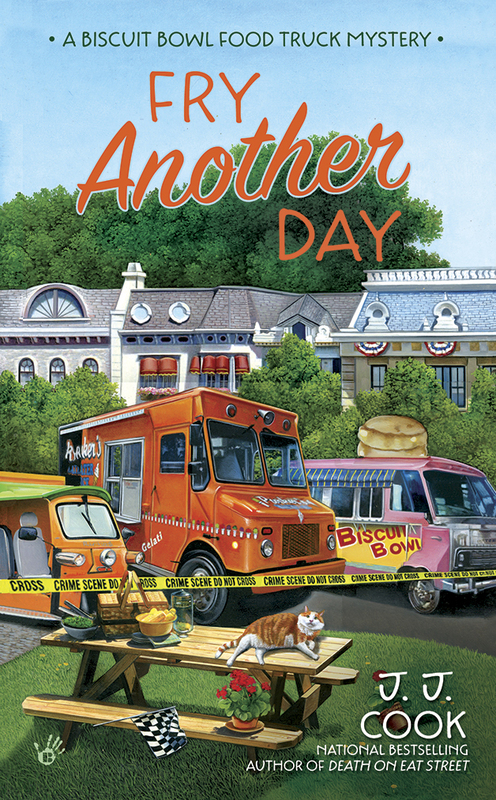 Read about Zoe Chase and the Sweet Magnolia Food Truck race in Fry Another Day! 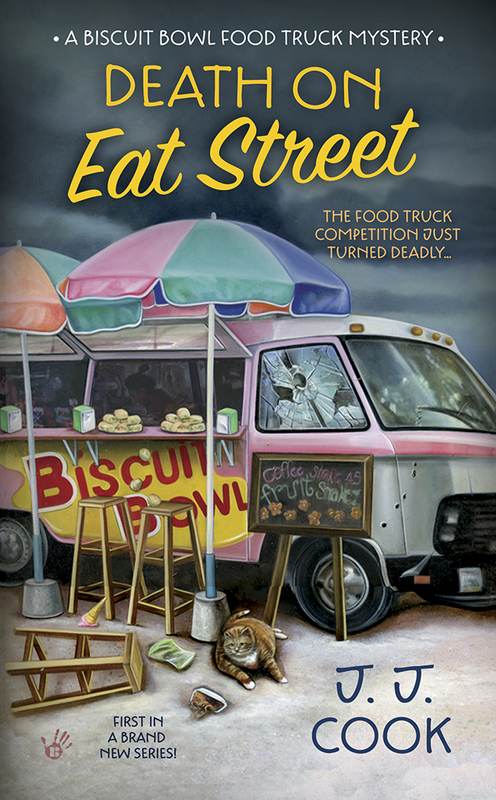 Book 2 in the National Bestselling Biscuit Bowl Truck Food Truck Mysteries from Berkley Prime Crime and J.J. Cook! A biscuit bowl would be really good, this morning! I love this series, too, and look forward to the next book! I loved Death on Eat Street! I will have to check out this cozy mystery series.